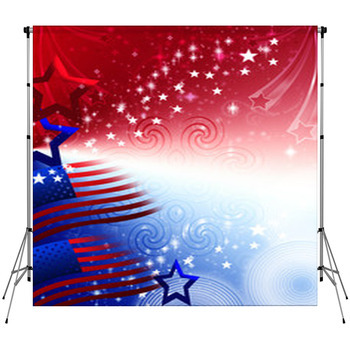 An American flag backdrop is an essential item for a professional photographer, and here at VisionBedding, we fly the Stars and Stripes Forever. 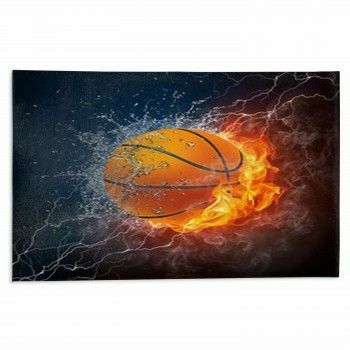 Around the world, the Red-White-and-Blue conveys everything from baseball to Hollywood. 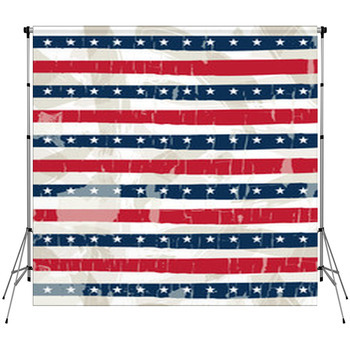 Our collection of backdrops gives you Old Glory as well as Americas other top icons in modern designs and classic nostalgia. 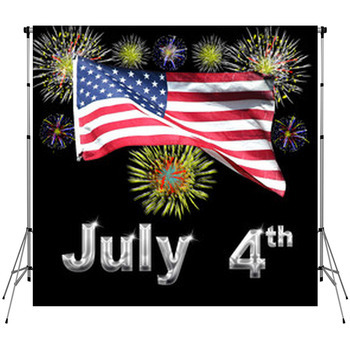 Let America be a burst of fireworks or a keen-eyed bald eagle with these custom size backdrops! 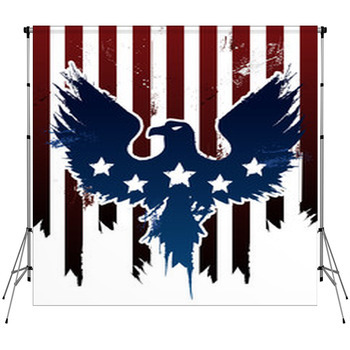 Our backdrops come with full customization and personalization options that can give any photographer the liberty to make their own choice. 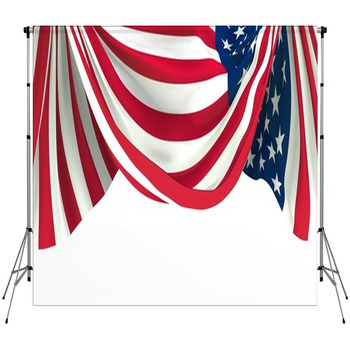 These backdrops can be made as unique and special as any American citizen. 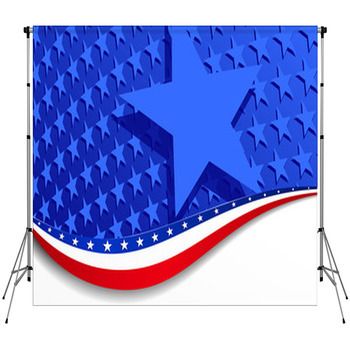 You might combine a draping flag with the words of the Declaration of Independence for a particularly patriotic backdrop, or you might add the name of an organization or school to your backdrop in order to personalize some patriotism for your clients. 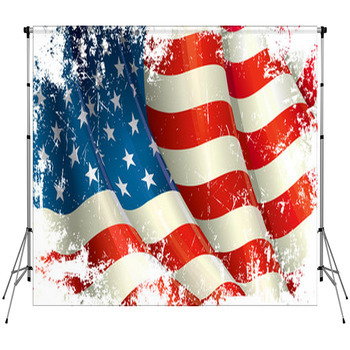 Alter the color of the backdrop from in order to fit any setting--maybe you need those red stripes to pop, or that saluting soldier to be a completely black silhouette. 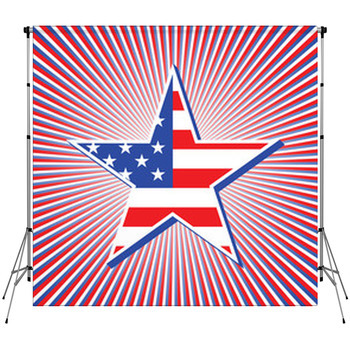 With VisionBedding, as in America, you have the freedom to choose.